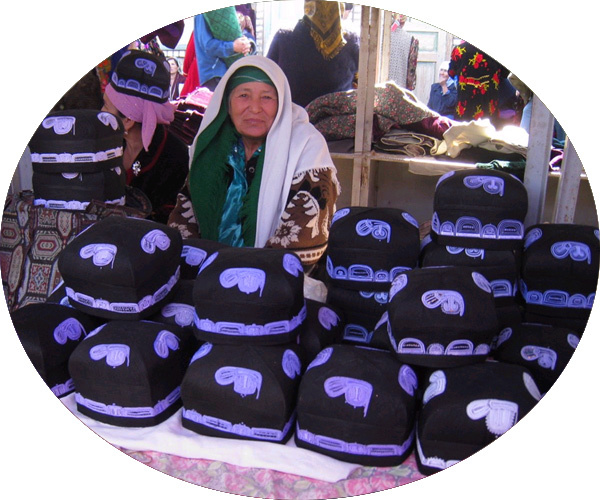 Certainly not less than half of the people on the streets of the old Uzbek cities of Samarkand and Bukhara wear duppi - dark green or black skullcaps, made ​​of solid fabric, cardboard padded, quilted by hand with white stylized cucumbers. They call this skullcap the tuh –bee-tehkah (from Turk. 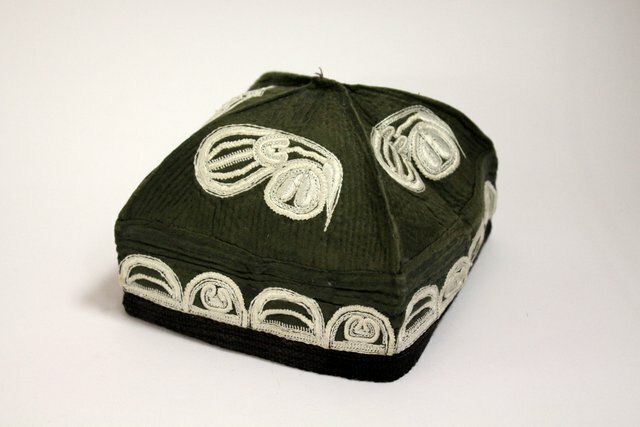 tube 'peak') a favorite headdress of a number of the Turkic peoples, which appeared in Central Asia together with Islam, which forbids the believer to go out with their head uncovered. Duppi can be round like a nomad yurt, or square. The Uzbeks’ love of angular forms they explain simply: so it is easier to fold and shove it into the pocket when entering premises.